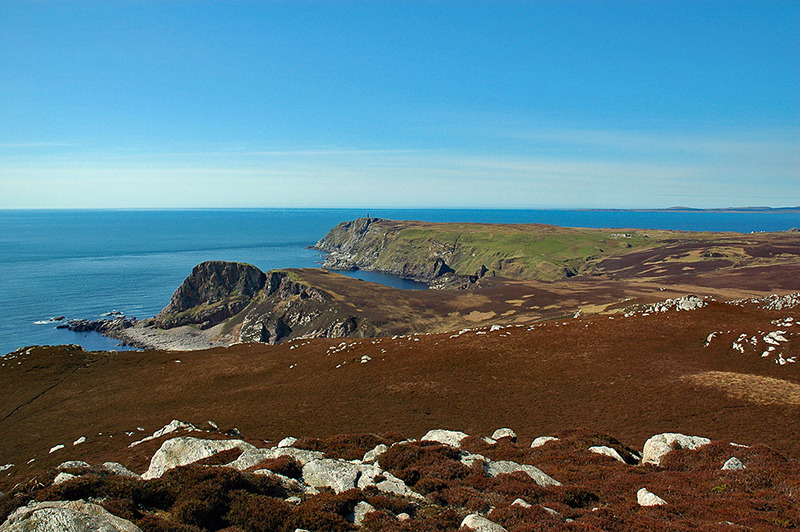 A view from the highest hill on the Oa in the south of Islay, Beinn Mhòr (202m). 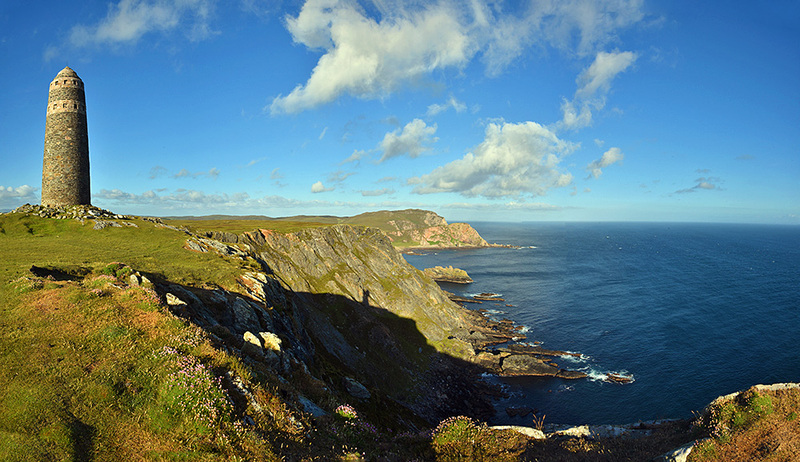 The Mull of Oa with the American Monument in the centre. 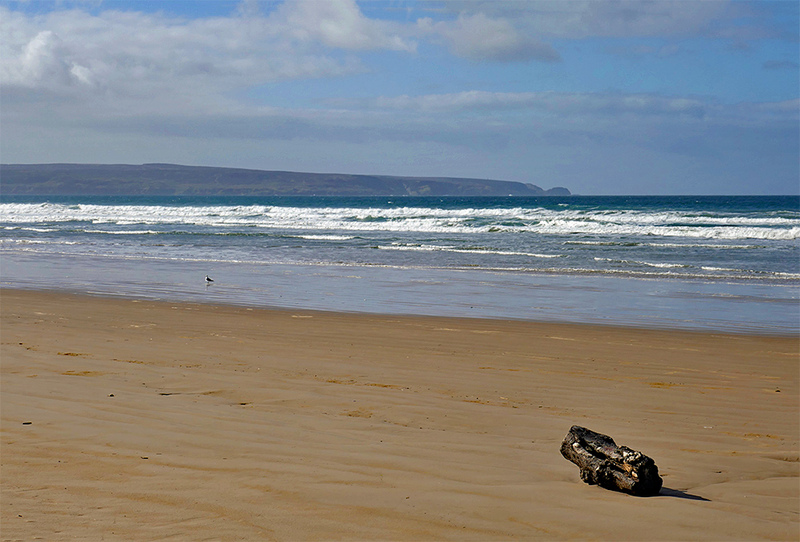 In the distance on the right the southern tip of the Rhinns of Islay.